ARE YOU READY FOR YOUR BLEMISHES TO DISAPPEAR? Venus Viva™is a revolutionary non-invasive, effective and FDA-approved device that combines Nano Fractional Radio Frequency and Smart Scan technology. Over time collagen and elastin breaks down in the skin causing the skin to age. This technology is the next generation of facial remodeling and skin resurfacing. Venus Viva™facial treatment produces radio frequency energy to different skin depths to stimulate collagen production. This promotes results for facial rejuvenation with skin laxity, texture, lines, wrinkles and reduces appearance of acne scaring. Venus Versa™ is an advanced, non-surgical solution for skin resurfacing that works to improve the overall texture of your skin. It uses intense pulsed light (IPL) to help you get smoother, healthier skin by reducing signs of skin damage, including scars, enlarged pores, stretch marks, wrinkles, rosacea, and any other skin conditions that affect the texture of your skin. Venus Versa™ also uses revolutionary technology to treat and prevent current acne. It uses blue and red light to effectively treat acne. The blue light targets and destroys the acne causing bacteria, while the red light reduces inflammation, and promotes healing. Both blue and red light are delivered simultaneously with each pulse to effectively treat and prevent acne. 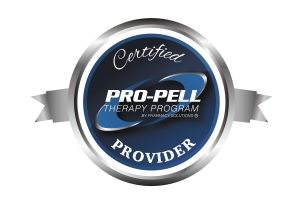 WHAT TO EXPECT: A typical treatment program consists of 6+ sessions performed 4-6 weeks apart. The exact number of sessions will depend on the individual person and the area being treated. You can put on makeup and resume your regular skin care routine 24 hours after your treatment. Heritage FMA is one of the few medical facilities that has Venus Skin™ available, which is the ONLY medical grade skin care using stem cells. This is the most scientifically proven skin-care available today! The stem cells in these formulas are pro-healing and anti-inflammatory, and will support in helping you reach your highest potential for naturally radiant skin, regardless of the damage. Best of all, it takes less than three minutes to apply!